Look carefully at above image. What do you see? You see a Multi connected to mains. Its charger is in storage mode: the batteries are full. And you see a MPPT Solar Charger 150/70 putting 1113 Watts on the DC bus. The Multi is converting it back into AC, and since there are no significant loads, it is being backfed into the grid. 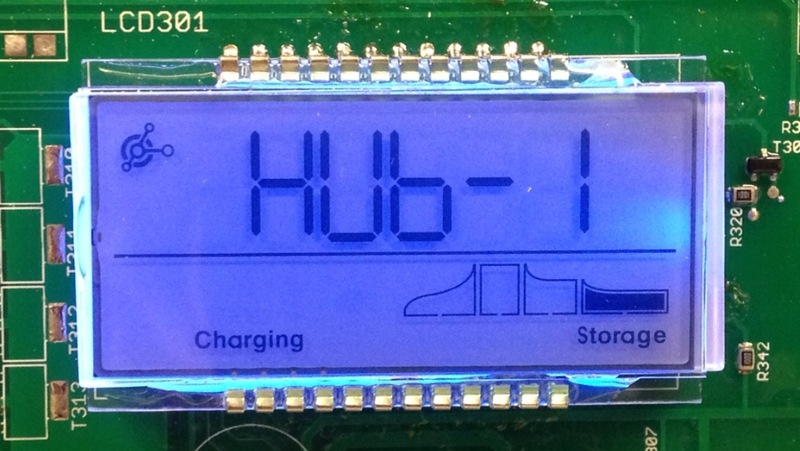 This system, with DC coupled PV and the ability to backfeed into the grid is what we call Hub-1. As opposed to Hub-2 and Hub-3 which are installations where the PV is AC-coupled using PV grid converters. More information about the three hubs, part of home storage and self-consumption. And all of it is very nicely displayed on the Color Control GX. Look at the small video and see what happens when I turn a heater on. You’ll see that grid usage is kept at a minimum, battery power is used instead. At the end of the video the heater is off again. 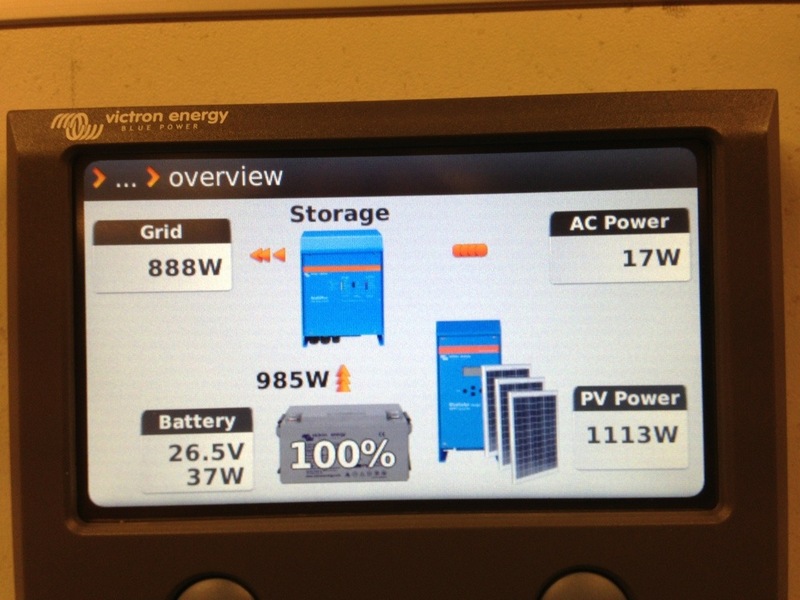 PV power is used to recharge the batteries and the surplus is backfed into the grid. Note that this is in R&D, and that this functionality is not yet commercially available. It is expected to be available by the end of the year. More details on what hardware, firmware and settings are needed will follow soon. For now just an enthusiastic Hurray!